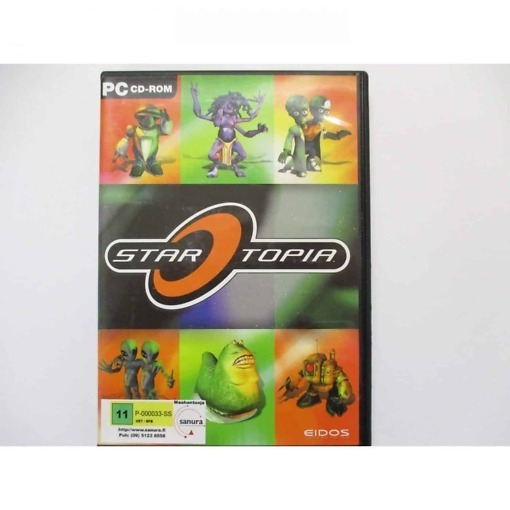 Startopia PC CD-ROM – peli. Set in the aftermath of a huge intergalactic war between powerful and aggressive alien races, a once thriving network of space stations and planets have been left lifeless. You will lead the way in rebuilding the network of space stations to a standard accepted by the individual alien races. Thus begins the hilarious battle of wits and cunning. Do you squeeze out your enemies with financial ruin, or simply blast them back into space?